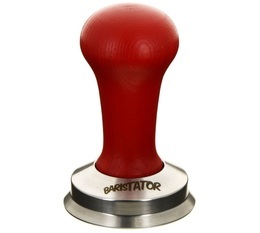 Coffee tampers and distributors for perfect espresso. Our range of tampers and coffee distributors (also known as coffee levelers) will let you find the one you need to pack your coffee grind. Discover a selection of the best brands such as Baristator, Clockwork Espresso, Espresso Gear, Motta and OCD and find the one most suited for your machine. The coffee tamper is an essential tool for a successful espresso, and an indispensable accessory for (future) baristas.